Know your competitors to improve how you bid against them. Use bidHD to automatically track your company's performance against your competitors. Report is updated in real-time every time a project is awarded or lost. 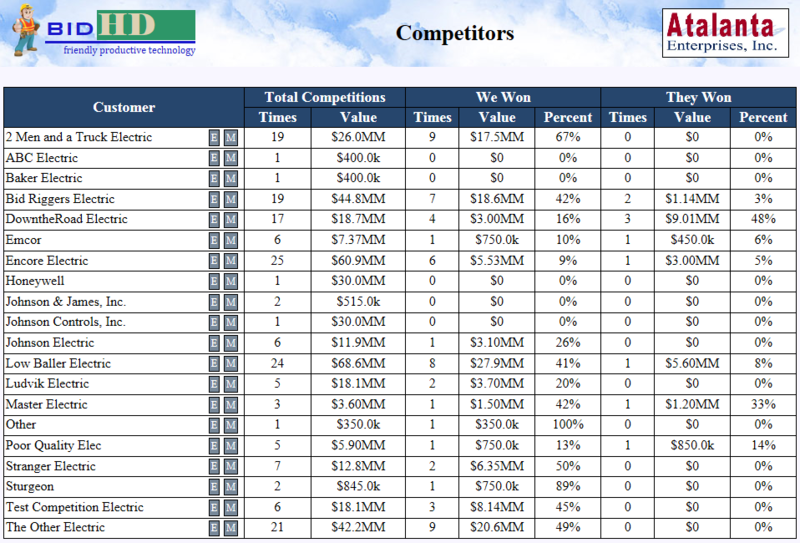 Mark a project opportunity as won, and bidHD automatically calculates the competition data for this report. Mark a project opportunity as lost, and bidHD prompts you to select the competitor that was awarded the project.